Chinese New Year is right around the corner (February 5 to be exact)... and you know what that means? Dumplings, dumplings and more dumplings! If you didn’t know, Chinese people are pretty superstitious. To this day my grandmother will insist that the reason I’m not 5’10 is because I opened an umbrella inside the house when I was six. We also have some weird superstitions when it comes to food, one of them being that you must eat dumplings on Chinese New Year, no exceptions! The belief is that eating dumplings on New Year’s will bring you wealth and prosperity for the coming months. If you don’t, well I’m not really sure what’s supposed to happen, I guess you’ll just have bad financial luck? You might be wondering what dumplings have to do with one’s wealth? Well it’s pretty simple, dumplings are shaped like ancient Chinese currency, so you’re basically eating delicious gold! Now I don’t really consider myself to be superstitious, but I don’t like tempting fate either, especially when it comes to money I don’t have. When February 5 rolls around, you’ll find me at Zoe Ma Ma stuffing my face with their delicious dumplings and you should too! A local favorite, you won’t find a more authentic Chinese restaurant in Boulder, the noodles are even homemade which makes all the difference, trust me. They even have Tsing Tao beer, my mom and dad's favorite. Another great option is Chimera, especially if you’re feeling a little adventurous and want to try their duck dumplings, you won’t regret it. 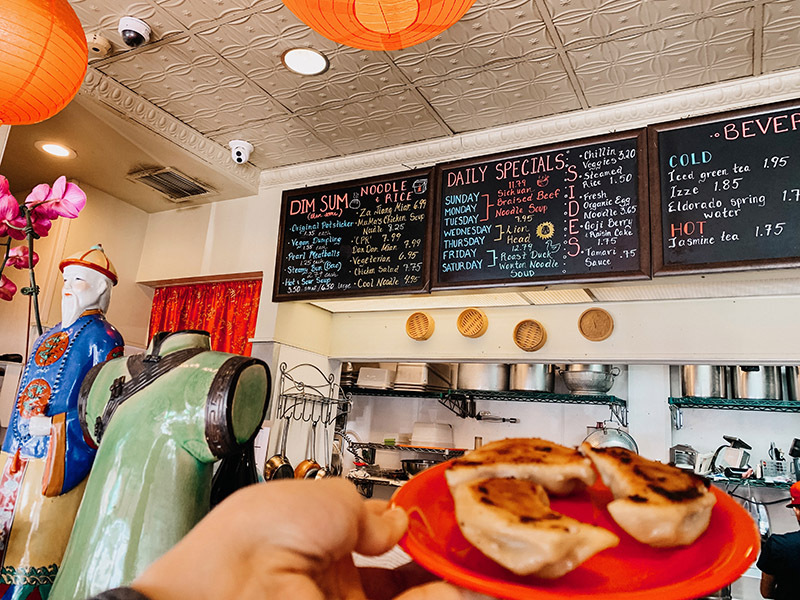 Both Zoe Ma Ma and Chimera have vegetarian dumpling options as well so don’t you worry. You don’t have to be Chinese to enjoy some delicious food and maybe secure yourself some good financial luck for 2019!